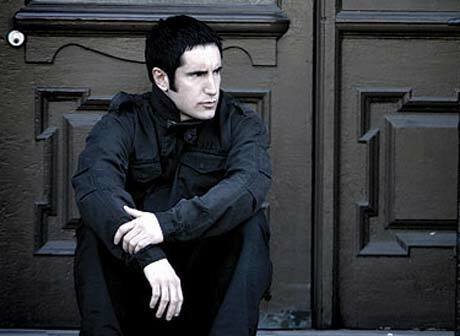 We got excited earlier this year when Nine Inch Nails mastermind Trent Reznor announced that he had teamed up with longtime collaborator Atticus Ross to compose the music for The Social Network, a recent biopic about Facebook creator Mark Zuckerberg. Now, there's new cause for excitement, as Reznor and Ross have been nominated for a Golden Globe for Best Original Score. Billboard notes that Reznor and Ross will be going up against A. R. Rahman (127 Hours), Alexandre Desplat (The King's Speech), Danny Elfman (Alice in Wonderland) and Hans Zimmer (Inception). Reznor and Ross are the only newcomers to the category; Rahman, Desplat and Zimmer have all previously won the award, while Elfman has been nominated twice. Reznor and Ross's The Social Network soundtrack is available now. If you enter your mailing address here, you can download a free five-song sampler from the score. The Golden Globes will take place on January 16 in Los Angeles. Read the full list of nominees here.